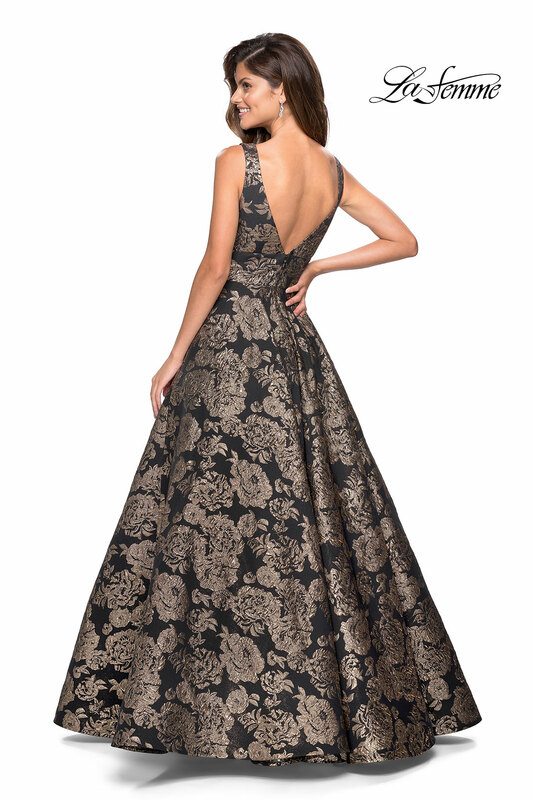 Gold and black printed A-line ball gown with empire waist and pockets. 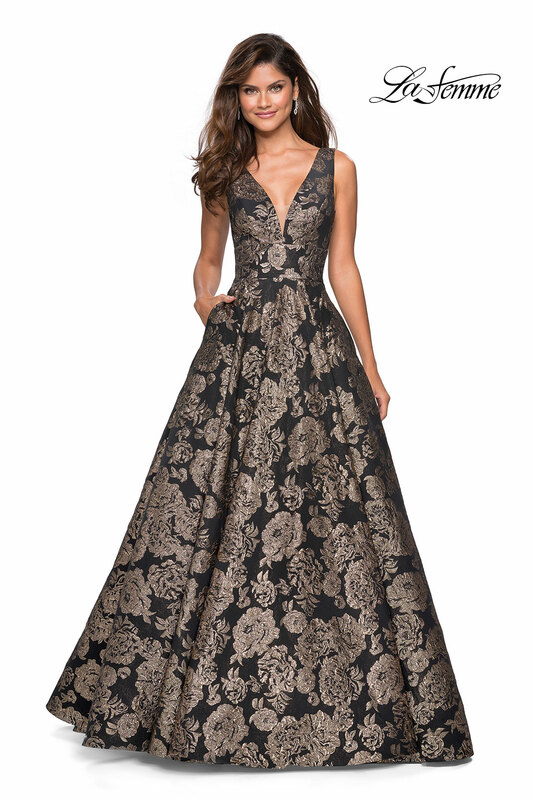 Dress is completes with a plunging V back. Back zipper closure.